Most winter afternoons, Jack Turner can be found walking slowly along the frozen Moose-Wilson Road in Grand Teton National Park, which is where I found him one day a few years ago. He was wearing a lofty down parka, padded pants, practical boots, and his huge mittens had turned his hands into paws. I was just back from the massive Outdoor Retailer trade show which is held in Salt Lake twice each year. 2,000 outdoor gear companies get together there to exhibit the latest in equipment designed to keep users safe and clean and comfortable while going faster and faster up and down steeper mountains and through wilder rapids and across wider and drier deserts. At least that’s how I saw it. During the past three decades, I watched the land conservation movement pass through three distinct phases. Early on, nearly everyone who climbed mountains and ran rivers and explored wild places was also a conservationist. We learned to ski and climb and backpack and mountain bike because we couldn’t get to the most amazing and beautiful—the wildest—places any other way. And once we got there, the wildness stabbed deep into us and something we couldn’t describe shifted inside and from then on, as if we had no choice, we wanted to take care of those places–guarantee that wildness. Then, for awhile—in the eighties, I think, being an “outdoor person” became cool and new gear technology made it easier for more and more people to get out in the wilds. Even if everyone didn’t act on it, anyone out there under their own power claimed to be an ‘environmentalist. 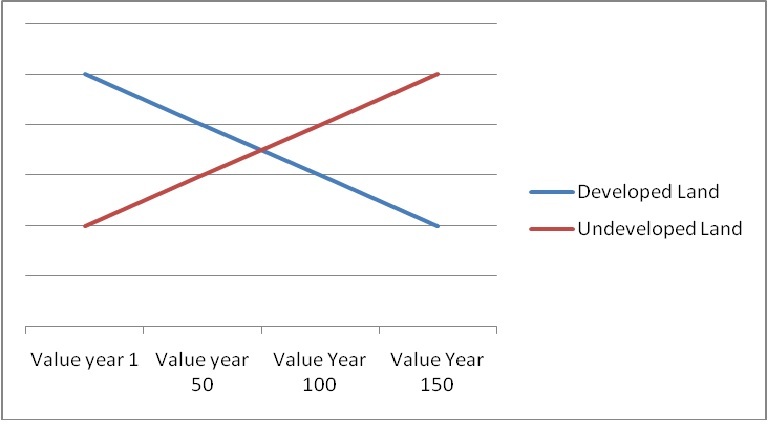 And now and for the past twenty years, being active outdoors seems only randomly connected with being active in land protection. When I can I go to the Outdoor Retailer show to support the Conservation Alliance, which is a small but growing group of gear manufacturers that understands what seems so obvious—if we don’t protect the wild outdoors, no one will need outdoor gear. This concerned me and when I’m concerned I go talk to Jack. 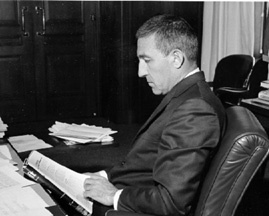 Since last Saturday, when Stewart Udall died in his home in Santa Fe, I’ve been reading everything I can find about this man, what he did and who he was. I feel fortunate to have on a few occasions spent time with Mr. Udall, and although he was 90 years old when he died, nearly blind, and according to a mutual friend who spoke on the phone to him a few days before, “seemed very ready to move on”, I’m very sad he’s gone. I feel a giant void. I’ve read a dozen obituaries, each of them another reminder of the foundation of American conservation he helped form during his time as Secretary of the Interior in the Kennedy and Johnson administrations—4 new National Parks—including Canyonlands in Utah, 50 wildlife refuges, and the first designated Wilderness Areas. All of his obituaries mention his relationship with Rachel Carson whose champion he became during the storm caused by the publication of her book, Silent Spring in 1962. His own book, The Quiet Crisis, was published the next year and is considered by many to be a companion to Carson’s classic. Terry and I last saw him in 2007 at his home in Santa Fe, the day before he was to travel back east to the John F. Kennedy Library to participate honoring Carson on the anniversary of her 100th birthday. He was busy memorizing his remarks. I remember him getting up from his desk a bit slowly, having just given up the cane he’d been using since breaking his femur the previous winter—when he’d made the conscious decision “not to become an invalid”. He was 87 then, and the years hadn’t dimmed the greatness of his presence or dampened his passion. For many reasons, these are important times in the story of permanently protecting some of the last remaining wild places in the lower 48 states. 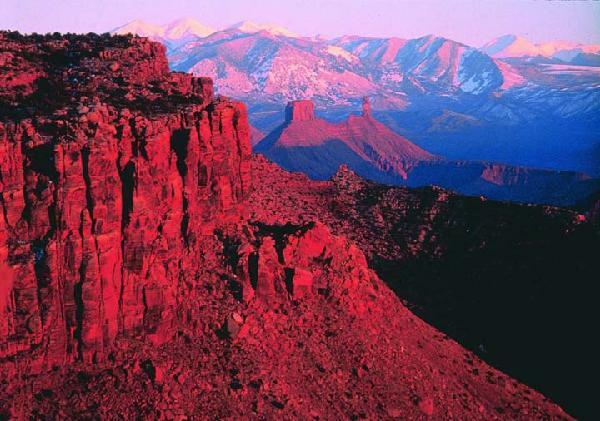 I’m talking specifically about Southern Utah’s vast red rock canyon country, where 9 million acres still meet the definition of Wilderness, according to the 1964 Wilderness Act. I really love this part of the world and lately I’m spending most of my time here working with the Southern Utah Wilderness Alliance, not walking in some unnamed canyon or laying on a warm rock and thinking or watching the different shapes clouds become as they move across the sky. No, I’m either in meetings with rural county commissioners who are somehow under the impression that Wilderness designation will hurt their constituents, or I’m driving back roads checking boundaries or looking for any clue that will help make a stronger argument. The mission of the Sorenson Unity Center is to enhance lives through visual and performing arts and serve as a community gathering place. I believe the Community Garden and Outdoor Event Space represents an incredible opportunity to truly fulfill the intent of this mission. 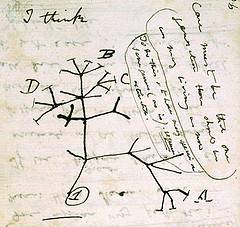 Since coming across this drawing from one of Charles Darwin’s notebooks, I’ve kept a copy of it nearby. Scholars refer to it as his “Tree of Life” sketch. At first I loved it because of how simply Darwin described how one species becomes many which adapt or go extinct. But now I love it more because of the words at the top: “I think”. Yesterday on Speaking of Faith, one of my favorite NPR programs, host Krista Tippett interviewed Robert Wright about his new book, The Evolution of God. Wright talked about his own process of discovering Darwin as a Southern Baptist teenager and becoming completely immersed in the beauty, simplicity, and grace of natural selection and evolution. This took me back in my own past—discovering Darwin as a teenager when I was becoming obsessed with nature and seeing natural selection first hand on college field trips as a biology student. I struggled through The Origin of Species, but more than what Darwin theorized, I loved his story—of his passion for wandering wild England, for hunting and collecting, his settling on studying to become a clergyman for one main reason—the opportunity he had to ‘naturalize’ with his professors who believed that to truly know the creator, one must know the creation. I loved every page of The Voyage of the Beagle—to me, it seemed more fantastical and incredible than the Chronicles of Narnia. I learned later that when 22 year-old Charles Darwin began his five year journey on board The Beagle, he believed in the literal interpretation of the Bible—that God created the earth in six days and rested on the seventh. What he experienced–what he saw with his own eyes– on that journey led to his theory of Natural Selection as the process by which life evolves on Earth. Applying the theory to humans in his book, The Descent of Man, cemented Darwin’s position as the face of evolution in the ongoing debate with those who believe in Intelligent Design–that God created us in our present form sometime within the last 10,000 years.